We have some exciting news: DCMN has acquired 1SDK,an attribution and analytics platform for mobile apps! This means some big changes are afoot – including for our team, which is growing bigger and bigger every week. Meet 1SDK’s founder Anil Kutty, our latest new hire.He joins our company as Director of Mobile Products and we couldn’t be happier to welcome him into the DCMN family! We are so excited to have you at DCMN! You’ve been a frequent visitor to our hometown, Berlin. What do you like about the city? I’m originally from New Delhi with south Indian roots, but I’ve been in Europe for about 18 years now. I’ve spent most of that time in the Netherlands. I originally came to Berlin for a few months because we were picked up by an accelerator here. This city offers a great ecosystem for startups. For those who don’t know, can you tell us a bit about 1SDK? To put it simply, 1SDK measures the performance of mobile advertising campaigns. We don’t do mobile advertising directly, but we are a technology platform that measures the effectiveness of performance marketing campaigns. We get data from conversions that are happening as a result of advertising campaigns: the key metrics we track are conversion, engagement, retention and churn (or app uninstalls). What does the deal mean for your company? 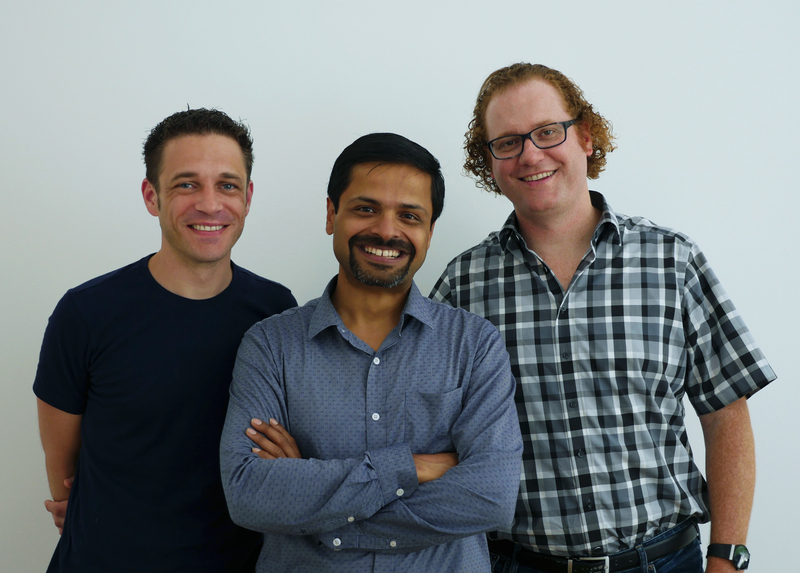 1SDK is a US-incorporated company, but we have a technical development team in India that will join DCMN. Three people from this team in Kochi will join. From my side, I’m going to be the director for mobile products at DCMN headquarters in Berlin. I’ll be in charge of driving the product roadmap on the mobile side. Why did you decide to sell 1SDK? And why did you choose us? DCMN is a young, dynamic and growing company. At the time we first started talking, it was less than 50 people. We realized that combining 1SDK’s mobile attribution analytics with DCMN’s TV attribution solution would offer more for our future customers. It was also a good fit with the founders, Andi and Matthias, because their vision is similar to ours. Overall, the company still has that cosy startup feeling and we felt we’d have a chance to make a real impact here. We can continue to evolve with the rest of the organization because DCMN itself is growing really fast. On the technical side, what changes are on the cards? We will integrate our platform into DCMN’s technology landscape and have identified avenues to leverage new capabilities across mobile, as well as TV. DCMN is already breaking ground with traditional media like TV, and now, with an in-house mobile capability, we will have even more to offer. How does it feel to have a successful exit for your company? Considering that 92% of startups don’t make it past three years, we got lucky to be acquired by a partner with complementary offerings – I’m very thankful for that! Personally, it’s rewarding to have seen this journey from idea to providing something that offers differentiating value to our customers. It’s also a rewarding conclusion for everyone else who supported 1SDK along its journey – our early investors, employees and also my family who sacrificed a lot. The learnings on the way have been priceless and I am still on that journey post-acquisition to ensure that we deliver on the promise of 1SDK, by creating a disruptive offering in partnership with DCMN. What’s your top advice for other startup founders out there? Don’t do this alone! Get one or two complimentary co-founders you know very well (not that buddy of yours with whom you have had beers with but never worked together closely enough). You should also focus on getting the first customer(s) to validate your MVP and help you pivot quickly if needed and don’t waste time chasing VC. Traction will trump everything, not that fancy deck or pitch! Lastly, make that runway last. Cash flow issue is the thing that kills you. NextWatch out India, we’re coming for you!